Synchro: split, save, and share. 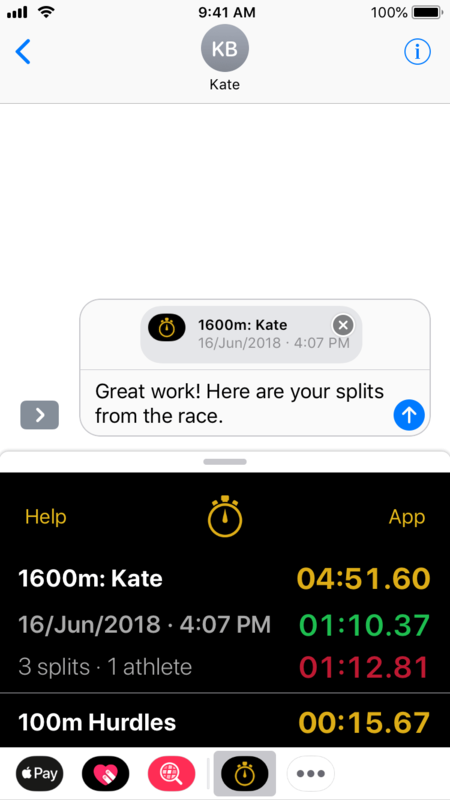 Built for athletes and coaches, Synchro is the first advanced stopwatch and logging app designed for the digital era. Easily time different events with multiple named stopwatches running simultaneously. Synchro was built from the ground up for a seamless timing experience. To start, split, and stop, use the on-screen controls or the volume buttons to keep your eyes on the action — unique haptic feedback signatures help you feel those controls without seeing them. 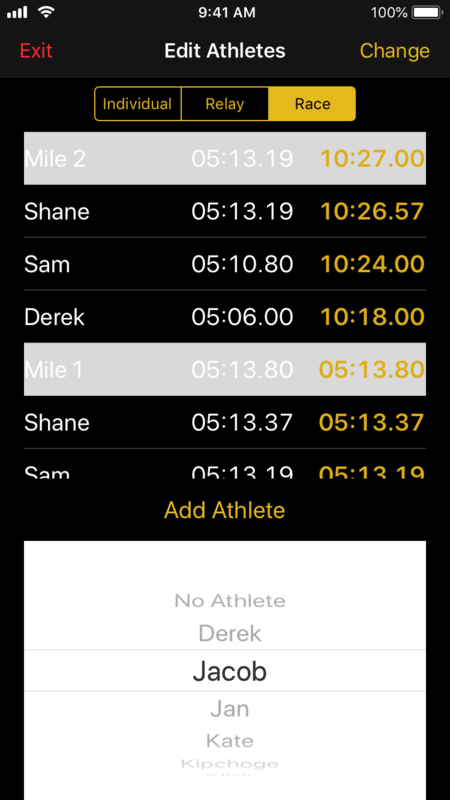 Rename stopwatches, groups, splits, and athletes with a swipe. 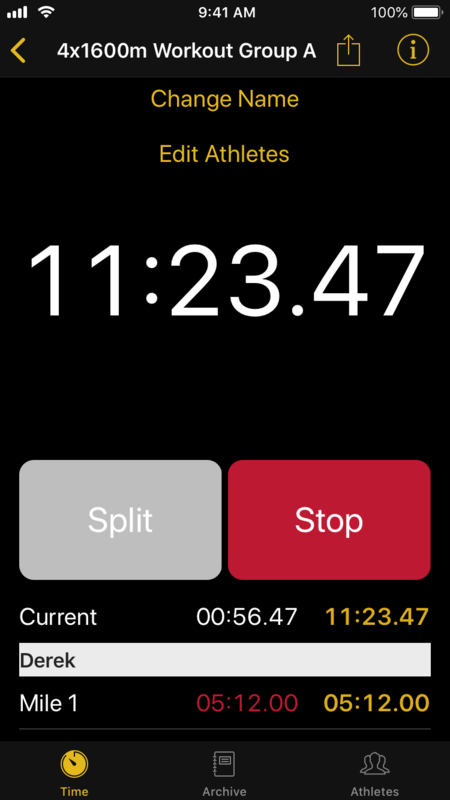 Share your stopwatch or access location and weather information with a tap. 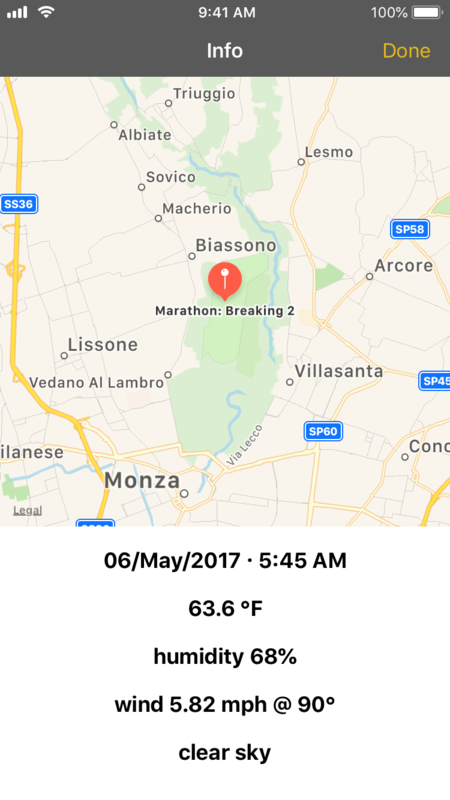 Conditions matter — Synchro automatically remembers your location and detailed local weather data when you start a stopwatch. Comprehensive support for athlete tagging enables you to get split breakdowns on a per-athlete basis. 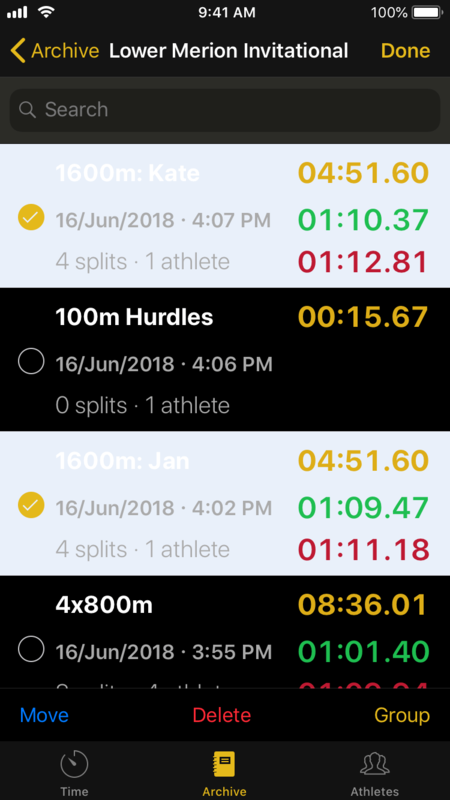 Visualize each athlete's fastest and slowest splits for your event, and send the stopwatch to the whole team via the share feature. 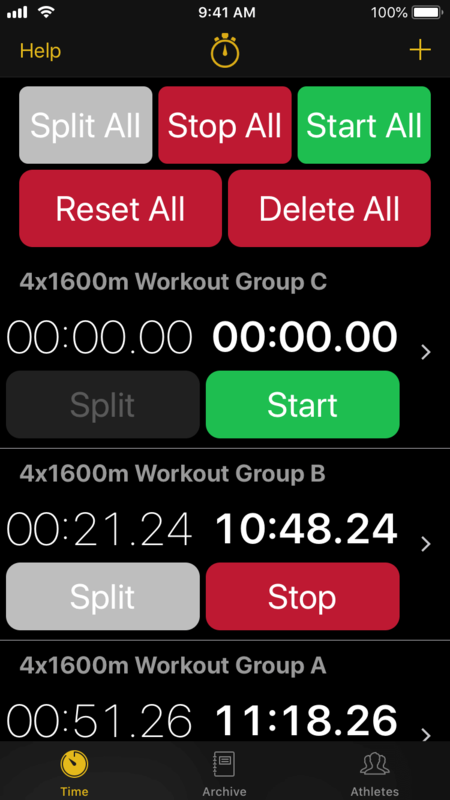 For spread-out events, send a copy of your running stopwatch to other Synchro users and have them add splits wherever they are. 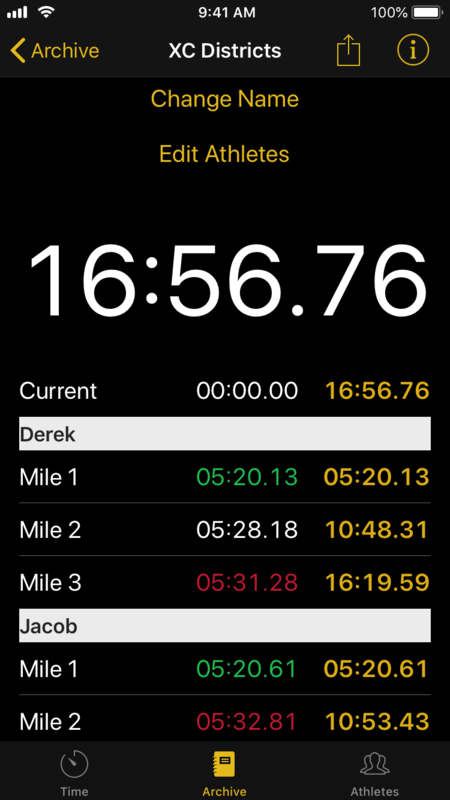 When a stopwatch is completed, share a copy of the entire stopwatch to your family and team directly into their own Synchro app. Archive: save, find, and organize. You don't have to lose all your data when you're done with a stopwatch. Swipe a stopwatch right into your Archive for a searchable log of all your stopwatches. Group together related stopwatches or even other groups to keep everything organized. Unlimited stopwatches. Zero Ads. Forever. Create, import, and archive an unlimited number of stopwatches. All ads are removed across the app for a clean and distraction-free experience. Instantly receive pro features from future updates in addition to personal help and support.